From the Green Tree Collection - A 8oz container idea for ice cream or soup,. 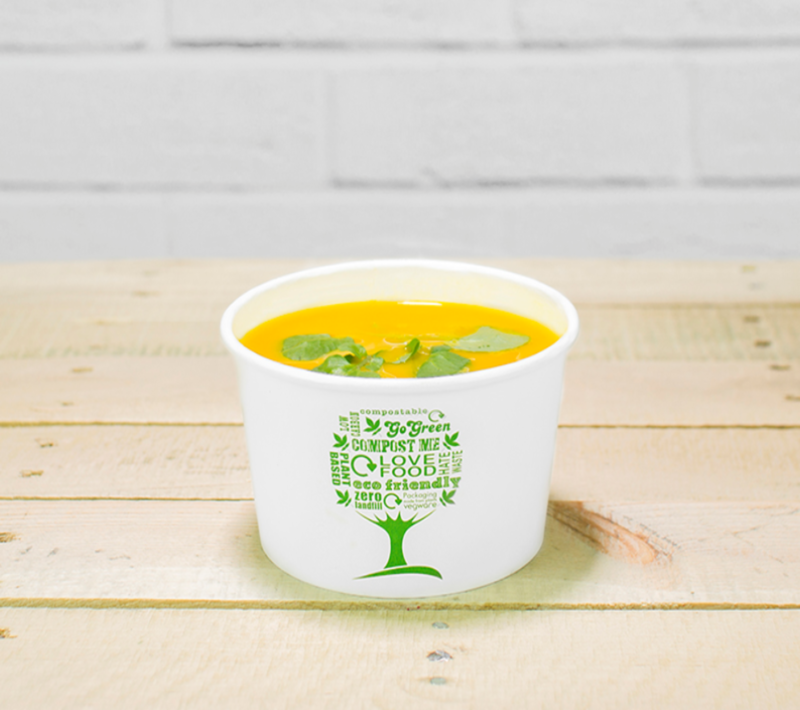 Vegware containers are a strong, sturdy, compostable alternative to plastic. 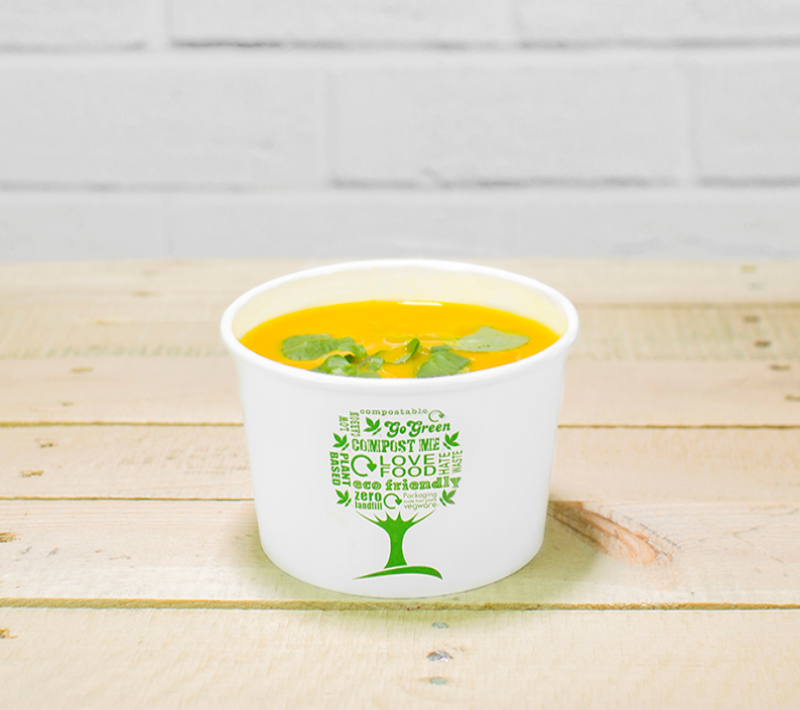 Perfect for trade-show tastings, or for small portions of ice cream, frozen yoghurt or hot soups.